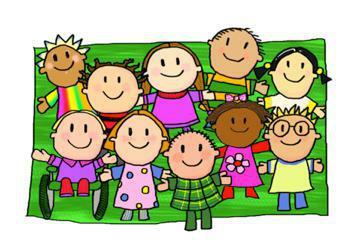 The Nursery Staff would like to take this opportunity to welcome everybody to their first year at Ysgol Deiniol. Please make sure jumper/cardigans and all other clothing including shoes and coats have your child's name in. Children are encouraged to look after their own clothing, we are here to help but unfortunately items can sometimes become mixed up as we do have a lot of children attending our setting. Singing songs and rhymes, especially number rhymes, reading stories and playing games with your child. Asking your child about their time in Nursery and letting them share their experiences with you. Ensuring your child is here by 8.50am. If they are ill, please notify school. We currently charge £2.50 per week for snack. This equates to 50p per day. Please make sure this is paid on a Monday morning and is sent in an envelope labelled with your child's name. Our topic this term is ‘All About Me’. If your child has any books or objects related to this topic, they are welcome to bring them in to show the other children. Please do not send in anything valuable or breakable. The children will be able to choose from a wide range of activities across the seven areas of the learning, both inside and outdoors. During our first half term the children will be taking part in lots of fine motor activities, this is to help strengthen their fingers and make them familiar with the movements needed for pencil control.The children will begin participating in Read, Write, Inc sessions during the second half term. They will be learning letters, the sounds that they make and using their fine motor skills to write the sounds/letter down. To help the children learn their numbers and number order we will be singing lots songs and Nursery Rhymes containing numbers and counting. A healthy snack and milk will be provided for your child on a daily basis. If your child does not like milk we will give them water. If your child is absent from school, please ring the office to let them know the reason, 01978 353760. If, for any reason you are late arriving in the morning the side gate may already be locked, please go to the main door, where the school secretary can register your child’s attendance. The children enjoy making models out of cardboard boxes and junk. If you have any of the following at home, we would be grateful if you could bring them in. Kitchen roll inners, cereal boxes, yoghurt pots, egg boxes, small boxes, corks, buttons, wool, scraps of material or any other clean junk. The doors open at 8.50am. Please let us know if an adult other than yourself is picking up your child from Nursery. You can do this by either speaking to the member of staff on the infant yard or ringing the office. We really, really, really enjoy messy play in nursery! We use creative materials within the indoor and outdoor environment and encourage the children to use their imaginations and have fun. Wherever possible we protect clothing with wellies, aprons or waterproof clothing however accidents do still sometimes happen! We break up for half term week on Friday 26th October and return back to school on Monday 5th November. Thank you for your support! If you have any questions, please don’t hesitate to ask! Please, please, please make sure you sign up to your child's Seesaw account. I will update as much as possible through this app as I think it is a great window for you to be able to see into your child's day. If you have misplaced your QR code let me know as I have a record of all the children's codes in class.